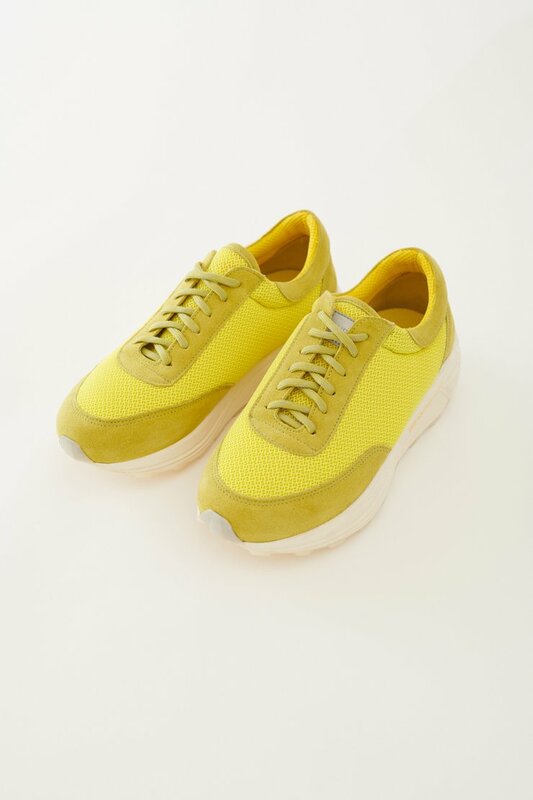 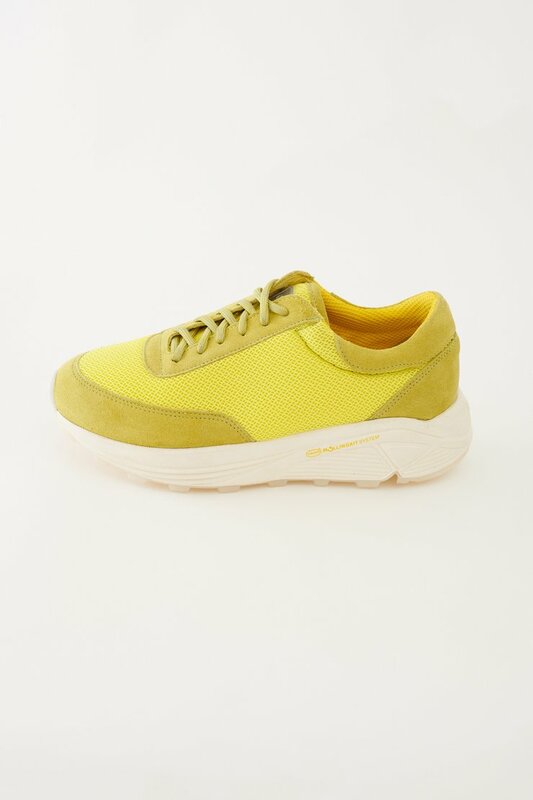 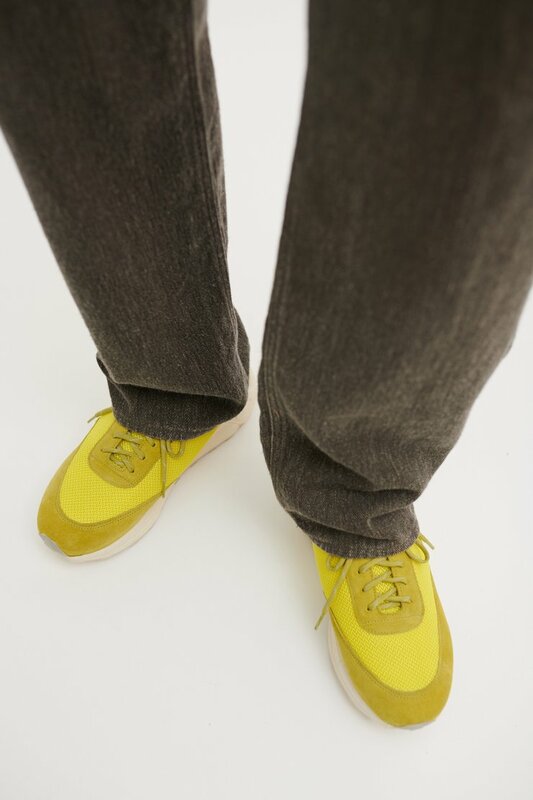 Our Mono Runner sneakers in Acid Yellow. 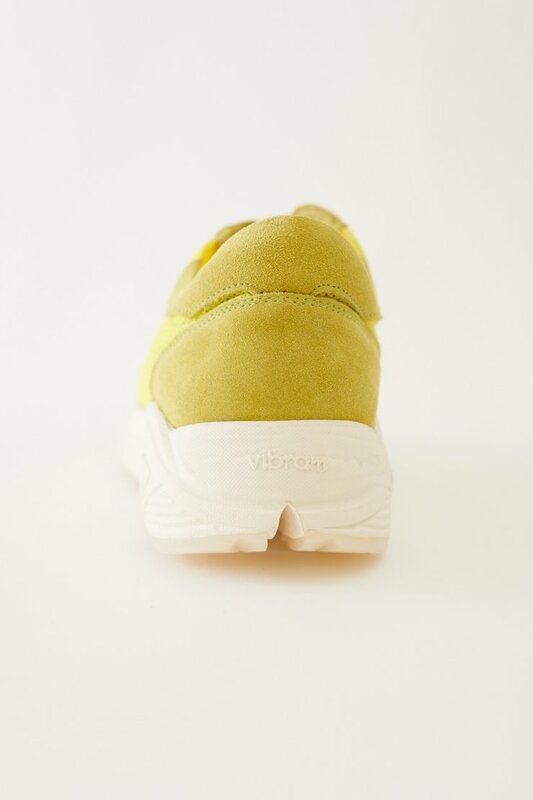 With an upper of suede and mesh, our Mono Runner features the Vibram® RollinGait System (RGS) sole unit. 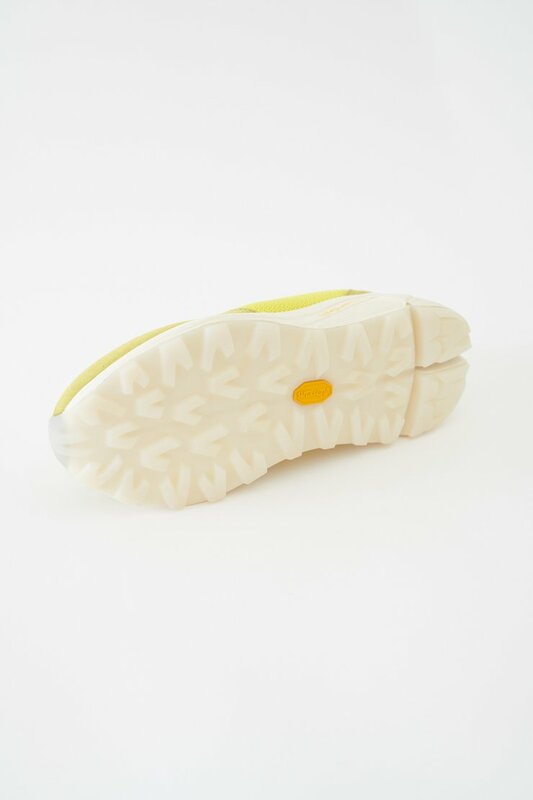 This is an innovative midsole & outsole combination that supports the natural roll of the foot and reduces muscle fatigue.